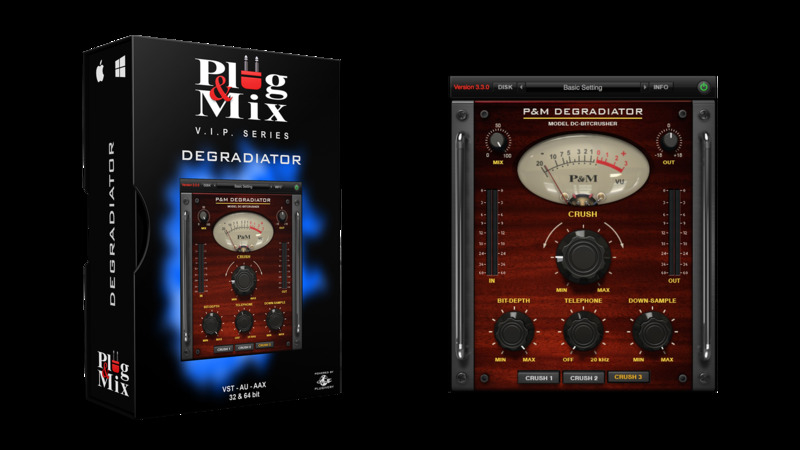 This Bit Crusher style plug-in will mangle and degrade your sound to a whole new level. You can use it to dirty digital saturation to your tracks and create wild down-sampled textures. Degradiator provides three levels of bit crushing mayhem and a bandpass filter to achieve vintage radio telephone effects. - Crush : Determines the bit depth (24bit to 1bit). - Telephone : A bandpass filter that sweeps up to 20kHz. - Down-Sample : Selects sample rate ( 44.1, 48k, 88.2, 96k).